I'm not a fan of Wednesdays, and that is the real reason behind today's post. I've got a whole round-up of fabulously delicious Slow Cooker (Crock Pot) Recipes, and it's all because of Wednesday. So enjoy this awesome list of dinner ideas, courtesy of Wednesday, my least favorite day of the week. Wednesdays are filled with school drop-offs and pick-ups, errands, two dance classes (three hours apart, so we have to make separate trips--yay), homework, sometimes church nursery duty, and let's not forget coming up with a blog post and any other work I might need to complete. Somewhere in there I have to come up with a dinner idea, and last night I was inspired to make frozen pizza. Yes, my lack of planning drove me to shove two frozen pizzas in the oven and call it a day. It was not a proud moment, people. With just a little preparation, dinner could have been a breeze. 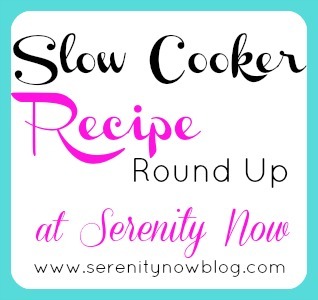 Here are some really tasty looking slow cooker/crock pot meals that I found on Pinterest. Not bad, huh? There are only about a bazillion other fantastic crock pot recipes out there, waiting to be tested out. I've shared recipes for slow cooker barbecue and pot roast here on the blog. Great post! Everything looks great, I have to try the enchiladas! What? Crock Pot cheesecake? That's crazy. In a good way! I make crock pot chicken and dumplings all the time- they are delicious!